“I am made for the dark.” Showtime has released a new trailer for season three of Penny Dreadful. Earlier, we posted a new poster for the upcoming season. The dramatic trailer previews regular cast members Eva Green, Josh Hartnett, Timothy Dalton, and Harry Treadaway encountering more darkness in the supernatural world. Season two recurring star Patti LuPone will return as a series regular for season three in addition to some new characters, Henry Jekyll (Shazad Latif) and Dr. Alexander Sweet (Christian Camargo). Season three of Penny Dreadful premieres on May 1st at 10 p.m.
What do you think? Do you watch Penny Dreadful? Will you watch the new season? Who’s your favorite character? 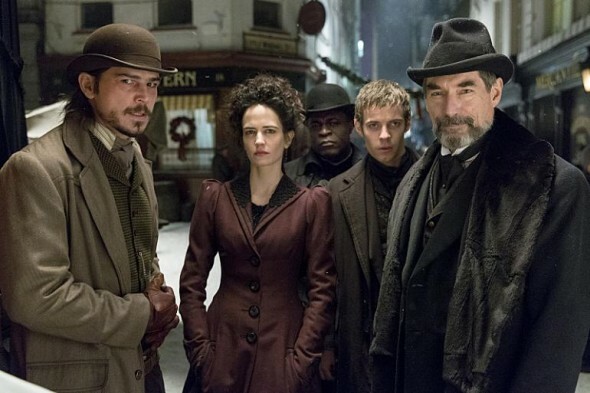 More about: Penny Dreadful, Penny Dreadful: canceled or renewed?, Showtime TV shows: canceled or renewed? This season looks intense. Hope May 1st hurries up.